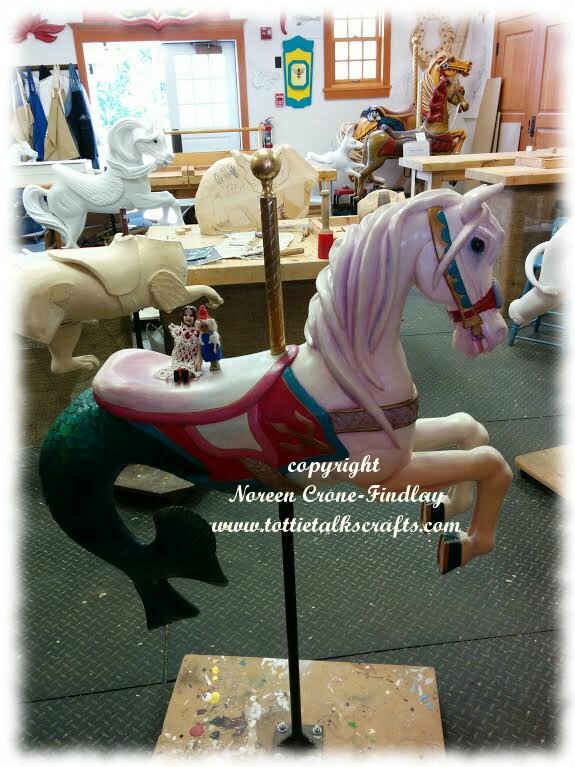 I’ve always loved carousel horses, and have made tapestries of them, but have never been inspired to carve one. 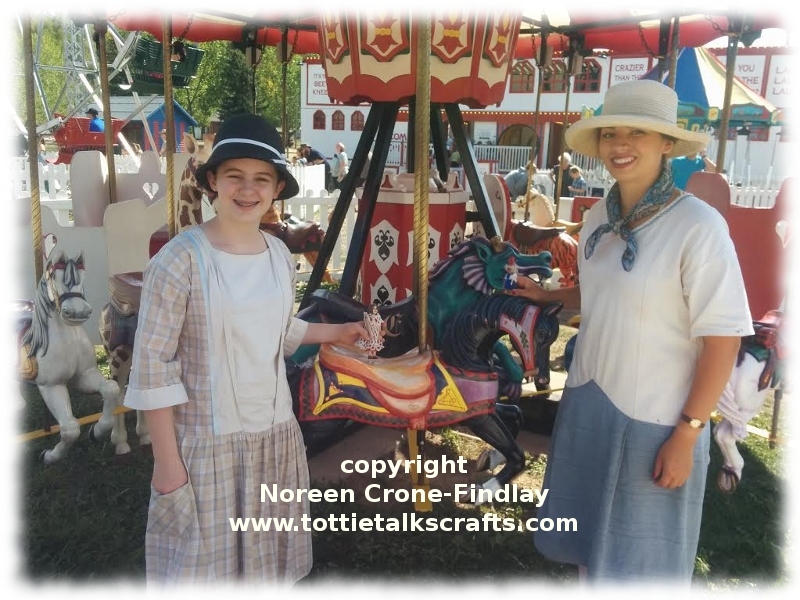 A couple of weeks ago, my family and I went to Fort Edmonton Park in Edmonton Alberta. 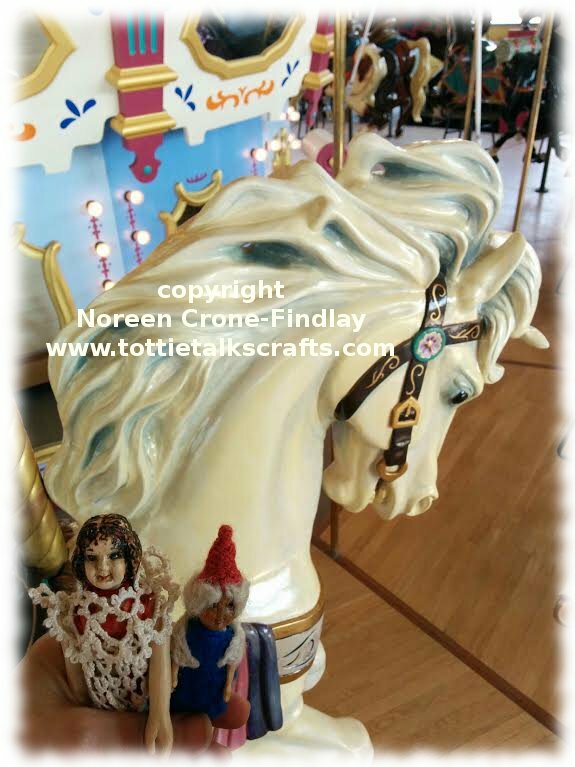 We made a beeline to the Carousel, which has been gloriously restored by volunteer carvers. I took Hitty Tennie and tiny Bessie Gnome with me. It was quite a challenge to take the photo one handed, as we really clipped around, and the up and down motion was ~really~ up and down! 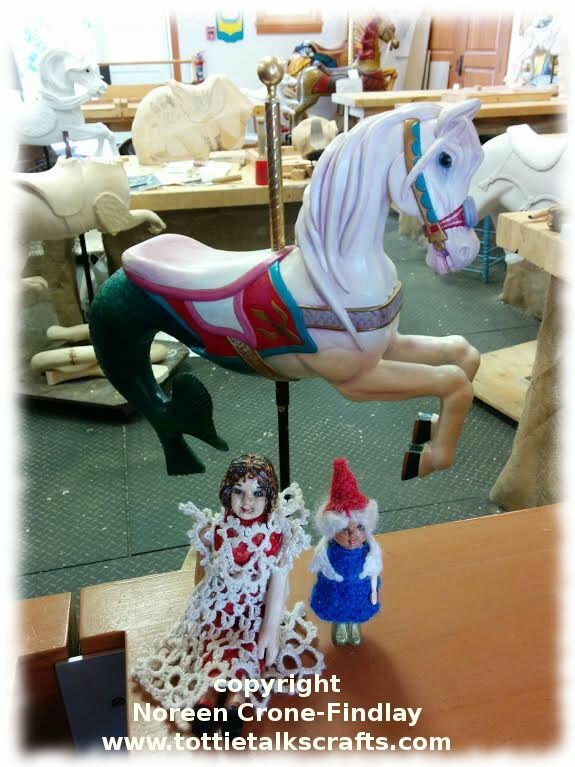 Signs told humans that they were not allowed to climb onto these particular horses, but I figured that small wooden dolls wouldn’t cause too much havoc. The Hypocamp was exquisite, and the woman who was in charge of the wood carving shop asked if the girls would like to sit on it. 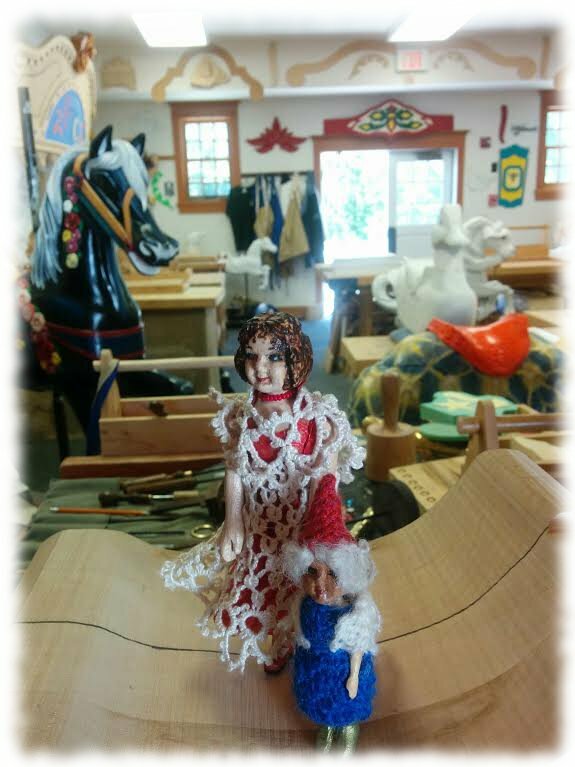 Tennie and Bessie enjoyed looking at all the woodworking tools and templates. What a glorious expedition, Tennie and Bessie Gnome will have good memories to savour! 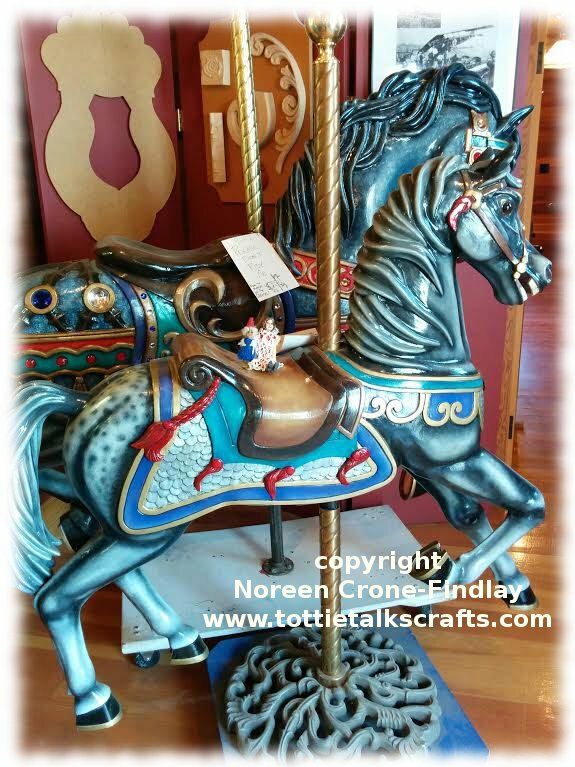 Oh, what a wonderful adventure for Tennie & Bessie! And they looked absolutely at home.